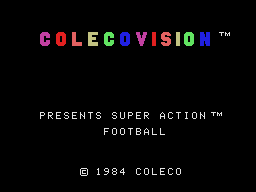 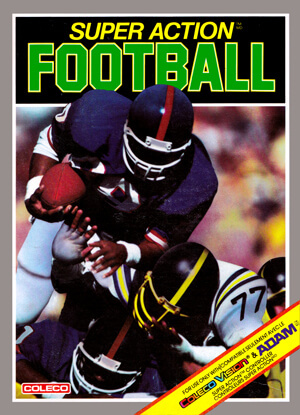 Another game in the Super Action series that makes use of Coleco's Super Action Controllers. 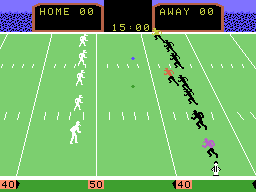 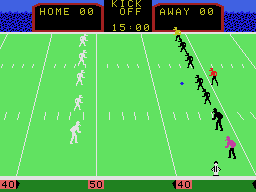 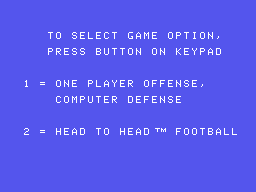 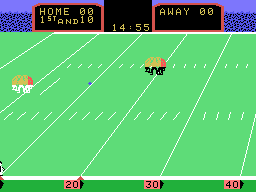 Play against the computer or go head-to-head with a friend over 4 quarters of football action. 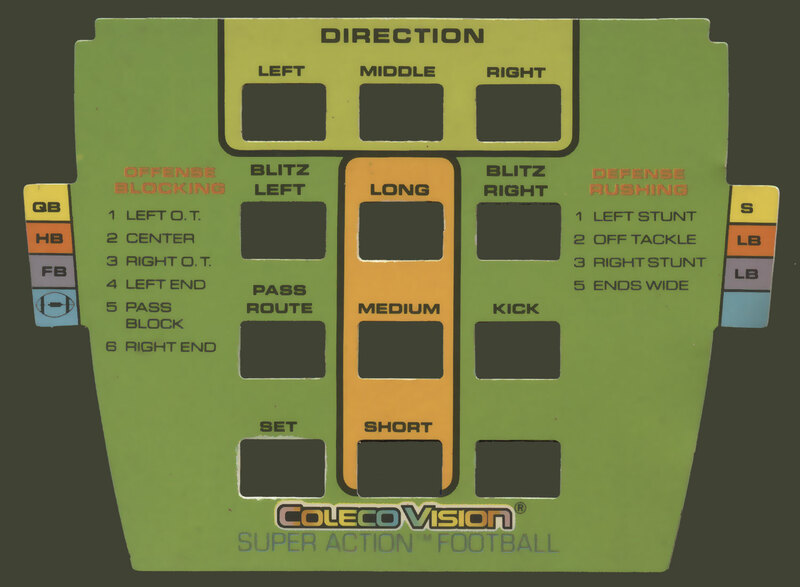 Step back and throw the long bomb to your wide receiver dancing in the end zone, kick the field goal, or lay down a bone-crunching tackle as you control one of 3 offensive or 3 defensive players. 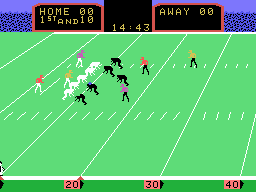 What victory dance will you do as you dive across the goal line in the final seconds of the game?